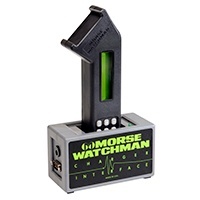 PowerCheck® – Morse Watchmans Inc. It is designed to prevent costly losses such as vandalism, theft, corporate espionage and damaging accidents throughout your facility. This system allows you to make sure your officers are making the rounds and will provide you with back-up documentation. PowerCheck gives you the most functional and effortless security guard tour system your money can buy. Best of all, Morse Watchmans offers you industry-leading warranties and exclusive lifetime support for the PowerCheck Guard Tour System. As officers make their rounds, they have the ability to enter in a user-programmable incident code on the hand-held data recorder’s keypad. This cuts out any unnecessary paperwork for you and your officers. PowerCheck’s sophisticated guard patrol system features Auto Pilot and Random Tour commands for added convenience and surveillance. 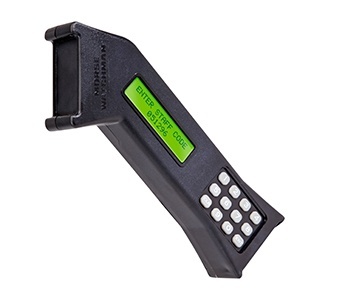 PowerCheck’s handheld data recorder is engineered to be lightweight and sleek in design, making the unit easy for your officers to carry and handle. It is simple to use, completely self-contained, and extremely durable. PowerCheck’s shock and water-resistant data recorder has a resilient outer shell made from Lexan®. It will function in temperatures ranging from -40° to 140°. The data recorder has a rechargeable battery and comes complete with a recharging base unit. Everything you ever worried about before with other guard patrol systems is absolutely accounted for with PowerCheck. Like the data recorders, the checkpoint stations boast an extremely durable construction. Unlike other “button” systems, these will withstand rough usage. And they won’t fade in the sun or fail in the rain like those “barcode” systems. Even if its surface has been vandalized, the stations will still be able to function. As your officers make their rounds, they will have the ability to enter in a user-programmable incident code right at the scene, using the built-in keypad and display. 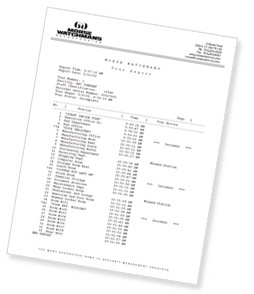 PowerCheck has 99 pre-set incident codes which are downloaded to your computer when your officers return from their tour. You can finally eliminate all that unnecessary paperwork. The PowerCheck 3002 model offers this powerful feature that actually tells the officer where the next station is by displaying the next station on its screen so there is no excuse for incomplete tours or forgotten stations. To prevent outsiders from predicting an officer’s routes, use the random tour command which initiates a completely different tour every time. PowerCheck is rough and tough. Shock and water resistant, our data recorder is made of Lexan® — the same super tough material that is used to make pro football helmets. It can take the heat and the cold. It will operate in temperatures from -40° to 140° F. It simply will not fail under normal usage. Should you lose the use of your data recorder because it’s been lost, stolen, or in the need of repair, we will quickly get a temporary replacement into your hands. This FREE loaner program is assured to you for the life of your PowerCheck. Our expert technicians will have damaged units back to you within 48 hours of receipt. Just another reason to trust PowerCheck. Ours are guaranteed for life! Any security guard tour system is only as good as its weakest point, usually that means the checkpoint stations. Other button systems fall off, get easily damaged and are usually the weakest point of a system. NOT with PowerCheck! We’ve made sure that they are tested tough – so they stand up to man and nature. Even if the surface has been vandalized, the stations will still function to your expectations. The station’s compact design and size gives it the ability to blend into any environment. They attach with special tamper proof screws. If you want to paint them to match the walls… go ahead they still work!